Using containers safely in production. This is the full report "Docker Security," by Adrian Mouat. Docker's introduction of the standardized image format has fueled an explosion of interest in the use of containers in the enterprise. Containers simplify the distribution of software and allow greater sharing of resources on a computer system. But as you pack more applications onto a system, the risk of an individual application having a vulnerability leading to a breakout increases. Containers, as opposed to virtual machines, currently share the same host kernel. This kernel is a single point of failure. A flaw in the host kernel could allow a process within a container to break out and take over the system. Docker security is about limiting and controlling the attack surface on the kernel. Docker security takes advantage of security measures provided by the host operating system. It relies on Defense in Depth, using multiple security measures to control what the processes within the container are able to do. As Docker/containers evolve, security measures will continue to be added. Administrators of container systems have a lot of responsibility to continue to use the common sense security measures that they have learned on Linux and UNIX systems over the years. They should not just rely on whether the "containers actually contain." Only run container images from trusted parties. Container applications should drop privileges or run without privileges whenever possible. Make sure the kernel is always updated with the latest security fixes; the security kernel is critical. Make sure you have support teams watching for security flaws in the kernel. Use a good quality supported host system for running the containers, with regular security updates. Do not disable security features of the host operating system. Examine your container images for security flaws and make sure the provider fixes them in a timely manner. To use Docker safely, you need to be aware of the potential security issues and the major tools and techniques for securing container-based systems. This report considers security mainly from the viewpoint of running Docker in production, but most of the advice is equally applicable to development. Even with security, it is important to keep the development and production environments similar in order to avoid the issues around moving code between environments that Docker was intended to solve. Reading online posts and news items1 about Docker can give you the impression that Docker is inherently insecure and not ready for production use. While you certainly need to be aware of issues related to using containers safely, containers, if used properly, can provide a more secure and efficient system than using virtual machines (VMs) or bare metal alone. This report begins by exploring some of the issues surrounding the security of container-based systems that you should be thinking about when using containers. The guidance and advice in this report is based on my opinion. I am not a security researcher, nor am I responsible for any major public-facing system. That being said, I am confident that any system that follows the guidance in this report will be in a better security situation than the majority of systems out there. The advice in this report does not form a complete solution and should be used only to inform the development of your own security procedures and policy. Unlike in a VM, the kernel is shared among all containers and the host, magnifying the importance of any vulnerabilities present in the kernel. Should a container cause a kernel panic, it will take down the whole host. In VMs, the situation is much better: an attacker would have to route an attack through both the VM kernel and the hypervisor before being able to touch the host kernel. All containers share kernel resources. If one container can monopolize access to certain resources—including memory and more esoteric resources such as user IDs (UIDs)—it can starve out other containers on the host, resulting in a denial-of-service (DoS), whereby legitimate users are unable to access part or all of the system. An attacker who gains access to a container should not be able to gain access to other containers or the host. By default, users are not namespaced, so any process that breaks out of the container will have the same privileges on the host as it did in the container; if you were root in the container, you will be root on the host.2 This also means that you need to worry about potential privilege escalation attacks—whereby a user gains elevated privileges such as those of the root user, often through a bug in application code that needs to run with extra privileges. Given that container technology is still in its infancy, you should organize your security around the assumption that container breakouts are unlikely, but possible. How do you know that the images you are using are safe, haven’t been tampered with, and come from where they claim to come from? If an attacker can trick you into running his image, both the host and your data are at risk. Similarly, you want to be sure that the images you are running are up-to-date and do not contain versions of software with known vulnerabilities. When a container accesses a database or service, it will likely require a secret, such as an API key or username and password. An attacker who can get access to this secret will also have access to the service. This problem becomes more acute in a microservice architecture in which containers are constantly stopping and starting, as compared to an architecture with small numbers of long-lived VMs. This report doesn’t cover how to address this, but see the Deployment chapter of Using Docker (O’Reilly, 2015) for how to handle secrets in Docker. In a much-cited article, Dan Walsh of Red Hat wrote, "Containers Do Not Contain." By this, he primarily meant that not all resources that a container has access to are namespaced. Resources that are namespaced are mapped to a separate value on the host; for example, PID 1 inside a container is not PID 1 on the host or in any other container. By contrast, resources that are not namespaced are the same on the host and in containers. If a user is root inside a container and breaks out of the container, that user will be root on the host. An initial version of user namespacing is included in Docker 1.10, but is not enabled by default. If your application or a dependent application uses the kernel keyring for handling cryptographic keys or something similar, it’s very important to be aware of this. Keys are separated by UID, meaning any container running with a user of the same UID will have access to the same keys. If a container loads a kernel module (which requires extra privileges), the module will be available across all containers and the host. This includes the Linux Security Modules discussed later. Including disk drives, sound-cards, and graphics processing units (GPUs). Changing the time inside a container changes the system time for the host and all other containers. This is possible only in containers that have been given the SYS_TIME capability, which is not granted by default. So what can you do? Assume vulnerability and build defense in depth. Consider the analogy of a castle, which has multiple layers of defense, often tailored to thwart various kinds of attacks. Typically, a castle has a moat, or exploits local geography, to control access routes to the castle. The walls are thick stone, designed to repel fire and cannon blasts. There are battlements for defenders and multiple levels of keeps inside the castle walls. Should an attacker get past one set of defenses, there will be another to face. The defenses for your system should also consist of multiple layers. For example, your containers will most likely run in VMs so that if a container breakout occurs, another level of defense can prevent the attacker from getting to the host or other containers. Monitoring systems should be in place to alert admins in the case of unusual behavior. Firewalls should restrict network access to containers, limiting the external attack surface. Another important principle to adhere to is least privilege: each process and container should run with the minimum set of access rights and resources it needs to perform its function.4 The main benefit of this approach is that if one container is compromised, the attacker should still be severely limited in being able to perform actions that provide access to or exploit further data or resources. Ensure that processes in containers do not run as root, so that exploiting a vulnerability present in a process does not give the attacker root access. Run filesystems as read-only so that attackers cannot overwrite data or save malicious scripts to file. Cut down on the kernel calls that a container can make to reduce the potential attack surface. Limit the resources that a container can use to avoid DoS attacks whereby a compromised container or application consumes enough resources (such as memory or CPU) to bring the host to a halt. And you can now access any file or binary on the host machine. If you run remote API access to your Docker daemon, be careful about how you secure it and who you give access to. If possible, restrict access to the local network. If you have a multi-tenancy setup, running containers for multiple users (whether these are internal users in your organization or external customers), ensure that each user is placed on a separate Docker host, as shown in Figure 1-1. This is less efficient than sharing hosts between users and will result in a higher number of VMs and/or machines than reusing hosts, but is important for security. The main reason is to prevent container breakouts resulting in a user gaining access to another user’s containers or data. If a container breakout occurs, the attacker will still be on a separate VM or machine and unable to easily access containers belonging to other users. Similarly, if you have containers that process or store sensitive information, keep them on a host separate from containers handling less-sensitive information and, in particular, away from containers running applications directly exposed to end users. For example, containers processing credit-card details should be kept separate from containers running the Node.js frontend. Segregation and use of VMs can also provide added protection against DoS attacks; users won’t be able to monopolize all the memory on the host and starve out other users if they are contained within their own VM. In the short to medium term, the vast majority of container deployments will involve VMs. Although this isn’t an ideal situation, it does mean you can combine the efficiency of containers with the security of VMs. The ability to quickly apply updates to a running system is critical to maintaining security, especially when vulnerabilities are disclosed in common utilities and frameworks. Identify images that require updating. This includes both base images and any dependent images. See undefined '1-2' for how to do this with the Docker client. Get or create an updated version of each base image. Push this version to your registry or download site. For each dependent image, run docker build with the --no-cache argument. Again, push these images. On each Docker host, run docker pull to ensure that it has up-to-date images. Restart the containers on each Docker host. Once you’ve ascertained that everything is functioning correctly, remove the old images from the hosts. If you can, also remove them from your registry. If you use Docker Hub to build your images, note that you can set up repository links, which will kick off a build of your image when any linked image changes. By setting a link to the base image, your image will automatically get rebuilt if the base image changes. If you want to get details on the intermediate images as well as named images, add the -a argument to the docker images command. Note that this command includes a significant gotcha: if your host doesn’t have a tagged version of a base image, it won’t show up in the list. For example, the official Redis image is based on debian:wheezy, but the base image will appear as <None> in docker images -a unless the host has separately and explicitly pulled the debian:wheezy image (and it is exactly the same version of that image). When you need to patch a vulnerability found in a third-party image, including the official images, you are dependent on that party providing a timely update. In the past, providers have been criticized for being slow to respond. In such a situation, you can either wait or prepare your own image. Assuming that you have access to the Dockerfile and source for the image, rolling your image may be a simple and effective temporary solution. LABEL description "Test image for labels"
You can take things further and add data such as the Git hash that the code in the image was compiled from, but this requires using some form of templating tool to automatically update the value. This can be useful when you want to handle certain events at runtime, such as dynamically allocating containers to load-balancer groups. At times, you will need to update the Docker daemon to gain access to new features, security patches, or bug fixes. This will force you to either migrate all containers to a new host or temporarily halt them while the update is applied. It is recommended that you subscribe to either the docker-user or docker-dev Google groups to receive notifications of important updates. Despite its youth, Docker has already gone through several stages of development, and some features have been deprecated or are unmaintained. Relying on such features is a security risk, because they will not be receiving the same attention and updates as other parts of Docker. The same goes for drivers and extensions depended on by Docker. Storage drivers are another major area of development and change. At the time of writing, Docker is moving away from AUFS as the preferred storage driver. The AUFS driver is being taken out of the kernel and no longer developed. Users of AUFS are encouraged to move to Overlay or one of the other drivers in the near future. To safely use images, you need to have guarantees about their provenance: where they came from and who created them. You need to be sure that you are getting exactly the same image that the original developer tested and that no one has tampered with it, either during storage or transit. If you can’t verify this, the image may have become corrupted or, much worse, replaced with something malicious. Given the previously discussed security issues with Docker, this is a major concern; you should assume that a malicious image has full access to the host. Provenance is far from a new problem in computing. The primary tool in establishing the provenance of software or data is the secure hash. A secure hash is something like a fingerprint for data—it is a (comparatively) small string that is unique to the given data. Any changes to the data will result in the hash changing. Several algorithms are available for calculating secure hashes, with varying degrees of complexity and guarantees of the uniqueness of the hash. The most common algorithms are SHA (which has several variants) and MD5 (which has fundamental problems and should be avoided). If you have a secure hash for some data and the data itself, you can recalculate the hash for the data and compare it. If the hashes match, you can be certain the data has not been corrupted or tampered with. However, one issue remains—why should you trust the hash? What’s to stop an attacker from modifying both the data and the hash? The best answer to this is cryptographic signing and public/private key pairs. Through cryptographic signing, you can verify the identify of the publisher of an artifact. If a publisher signs an artifact with their private key,7 any recipient of that artifact can verify it came from the publisher by checking the signature using the publisher’s public key. Assuming the client has already obtained a copy of the publisher’s key, and that publisher’s key has not been compromised, you can be sure the content came from the publisher and has not been tampered with. Secure hashes are known as digests in Docker parlance. A digest is a SHA256 hash of a filesystem layer or manifest, where a manifest is metadata file describing the constituent parts of a Docker image. As the manifest contains a list of all the image’s layers identified by digest,8 if you can verify that the manifest hasn’t been tampered with, you can safely download and trust all the layers, even over untrustworthy channels (e.g., HTTP). Docker introduced content trust in 1.8. This is Docker’s mechanism for allowing publishers9 to sign their content, completing the trusted distribution mechanism. When a user pulls an image from a repository, she receives a certificate that includes the publisher’s public key, allowing her to verify that the image came from the publisher. When content trust is enabled, the Docker engine will only operate on images that have been signed and will refuse to run any images whose signatures or digests do not match. In Docker 1.8, content trust must be enabled by setting the environment variable DOCKER_CONTENT_TRUST=1. In later versions of Docker, this will become the default. The official, signed, Debian image was pulled successfully. In contrast, Docker refused to pull the unsigned image amouat/identidock:unsigned. You are about to create a new root signing key passphrase. key in your config directory. Since this was the first push to the repository with content trust enabled, Docker has created a new root signing key and a tagging key. The tagging key will be discussed later. Note the importance of keeping the root key safe and secure. Life becomes very difficult if you lose this; all users of your repositories will be unable to pull new images or update existing images without manually removing the old certificate. If you haven’t downloaded an image from a given repository before, Docker will first retrieve the certificate for the publisher of that repository. This is done over HTTPS and is low risk, but can likened to connecting to a host via SSH for the first time; you have to trust that you are being given the correct credentials. Future pulls from that repository can be verified using the existing certificate. Back Up Your Signing Keys! The umask commands ensure file permissions are set to read-only. Note that as the root key is only needed when creating or revoking keys, it can—and should—be stored offline when not in use. Back to the tagging key. A tagging key is generated for each repository owned by a publisher. The tagging key is signed by the root key, which allows it to be verified by any user with the publisher’s certificate. The tagging key can be shared within an organization and used to sign any images for that repository. After generating the tagging key, the root key can and should be taken offline and stored securely. Should a tagging key become compromised, it is still possible to recover. By rotating the tagging key, the compromised key can be removed from the system. This process happens invisibly to the user and can be done proactively to protect against undetected key compromises. Content trust also provides freshness guarantees to guard against replay attacks. A replay attack occurs when an artifact is replaced with a previously valid artifact. For example, an attacker may replace a binary with an older, known vulnerable version that was previously signed by the publisher. As the binary is correctly signed, the user can be tricked into running the vulnerable version of the binary. To avoid this, content trust makes use of timestamp keys associated with each repository. These keys are used to sign metadata associated with the repository. The metadata has a short expiration date that requires it to be frequently resigned by the timestamp key. By verifying that the metadata has not expired before downloading the image, the Docker client can be sure it is receiving an up-to-date (or fresh) image. The timestamp keys are managed by the Docker Hub and do not require any interaction from the publisher. If you want to learn more about content trust, see the offical Docker documentation, as well as The Update Framework, which is the underlying specification used by content trust. While this is a reasonably complex infrastructure with multiple sets of keys, Docker has worked hard to ensure it is still simple for end users. With content trust, Docker has developed a user-friendly, modern security framework providing provenance, freshness, and integrity guarantees. Content trust is currently enabled and working on the Docker Hub. To set up content trust for a local registry, you will also need to configure and deploy a Notary server. The Docker Notary project is a generic server-client framework for publishing and accessing content in a trustworthy and secure manner. Notary is based on The Update Framework specification, which provides a secure design for distributing and updating content. Docker’s content trust framework is essentially an integration of Notary with the Docker API. By running both a registry and a Notary server, organizations can provide trusted images to users. However, Notary is designed to be standalone and usable in a wide range of scenarios. The call to notary compares a checksum for the script with the checksum in Notary’s trusted collection for docker.com. If it passes, you have verified that the script does indeed come from docker.com and has not been tampered with. If it fails, Notary will bail out, and no data will be passed to sh. What’s also notable is that the script itself can be transferred over insecure channels—in this case, HTTP—without worry; if the script is altered in transit, the checksum will change and Notary will throw an error. This will pull the debian:jessie image as of the time of writing. Unlike the debian:jessie tag, it is guaranteed to always pull exactly the same image (or none at all). If the digest can be securely transferred and authenticated in some manner (e.g., sent via a PGP signed e-mail from a trusted party), you can guarantee the authenticity of the image. Even with content trust enabled, it is still possible to pull by digest. If you don’t trust either a private registry or the Docker Hub to distribute your images, you can always use the docker load and docker save commands to export and import images. The images can be distributed by an internal download site or simply by copying files. Of course, if you go down this route, you are likely to find yourself recreating many of the features of the Docker registry and content-trust components. Using a digest will also protect against accidental corruption or tampering. Provide version numbers when installing software from package managers. apt-get install cowsay is OK, as cowsay is unlikely to change, but apt-get install cowsay=3.03+dfsg1-6 is better. The same goes for other package installers such as pip—provide a version number if you can. The build will fail if an old package is removed, but at least this gives you warning. Also note that a problem still remains: packages are likely to pull in dependencies, and these dependencies are often specified in >= terms and can hence change over time. To completely lock down the version of things, have a look at tools like aptly, which allow you to take snapshots of repositories. Verify any software or data downloaded from the Internet. This means using checksums or cryptographic signatures. Of all the steps listed here, this is the most important. If you don’t verify downloads, you are vulnerable to accidental corruption as well as attackers tampering with downloads. This is particularly important when software is transferred with HTTP, which offers no guarantees against man-in-the-middle attacks. The following section offers specific advice on how to do this. Most Dockerfiles for the official images provide good examples of using tagged versions and verifying downloads. They also typically use a specific tag of a base image, but do not use version numbers when installing software from package managers. Gets the GNU Privacy Guard (GPG) keys used to sign the Node.js download. Here, you do have to trust that these are the correct keys. Downloads the checksum for the tarball. Uses GPG to verify that the checksum was signed by whoever owns the previously obtained keys. Checks that the checksum matches the tarball by using the sha256sum tool. If either the GPG test or the checksum test fails, the build will abort. The first command obtains the signing key for Nginx (which is added to the keystore), and the second command adds the Nginx package repository to the list of repositories to check for software. After this, Nginx can be simply and securely installed with apt-get install -y nginx (preferably with a version number). Here, we’re creating a 160-bit SHA-1 checksum. The -b flag tells the sha1sum utility that it is dealing with binary data, not text. This downloads the file as redis.tar.gz and asks sha1sum to verify the checksum. If the check fails, the command will fail and the build will abort. Changing all these details for each release is a lot of work if you release often, so automating the process is worthwhile. In many of the official image repositories, you can find update.sh scripts for this purpose (for example, https://github.com/docker-library/wordpress/blob/master/update.sh). This section contains actionable tips on securing container deployments. Not all the advice is applicable to all deployments, but you should become familiar with the basic tools you can use. Many of the tips describe various ways in which containers can be limited so that containers are unable to adversely affect other containers or the host. The main issue to bear in mind is that the host kernel’s resources—CPU, memory, network, UIDs, and so forth—are shared among containers. If a container monopolizes any of these, it will starve out other containers. Worse, if a container can exploit a bug in kernel code, it may be able to bring down the host or gain access to the host and other containers. This could be caused either accidentally, through some buggy programming, or maliciously, by an attacker seeking to disrupt or compromise the host. Never run production applications as root inside the container. That’s worth saying again: never run production applications as root inside the container. An attacker who breaks the application will have full access to the container, including its data and programs. Worse, an attacker who manages to break out of the container will have root access on the host. You wouldn’t run an application as root in a VM or on bare metal, so don’t do it in a container. This creates a group called user_grp and a new user called user who belongs to that group. The USER statement will take effect for all following instructions and when a container is started from the image. You may need to delay the USER instruction until later in the Dockerfile if you need to first perform actions that need root privileges such as installing software. This script includes the line chown -R redis ., which sets the ownership of all files under the images data directory to the redis user. If the Dockerfile had declared a USER, this line wouldn’t work. The next line, exec gosu redis "$@", executes the given redis command as the redis user. The use of exec means the current shell is replaced with redis, which becomes PID 1 and has any signals forwarded appropriately. You have two processes, one for sudo and one for the command you ran. You have only one process running—gosu has executed the command and gotten out of the way completely. Importantly, the command is running as PID 1, meaning that it will correctly receive any signals sent to the container, unlike the sudo example. It can’t be used in conjunction with a read-only container filesystem. Sharing of network, IPC and PID namespaces with the host or other containers is restricted in many cases. The remapped root user inside a container has some extra restrictions, such as not being able to call mknod. Using Docker volumes becomes more complex as the changed UIDs affect access privileges. Finally, if you have an application that insists on running as root (and you can’t fix it or use user namespaces), consider using tools such as sudo, SELinux (see SELinux), and fakeroot to constrain the process. Connection to 172.17.0.3 5001 port [tcp/*] succeeded! Tells the netcat utility to listen to port 5001 and echo any input. Sends "hello" to the first container using netcat. The second container is able to connect to nc-test despite there being no ports published or exposed. You can change this by running the Docker daemon with the --icc=false flag. This turns off inter-container communication, which can prevent compromised containers from being able to attack other containers. Any explicitly linked containers will still be able to communicate. Docker controls inter-container communication by setting IPtables rules (which requires that the --iptables flag is set on the daemon, as it should be by default). Connection to nc-test 5001 port [tcp/*] succeeded! On Ubuntu, the Docker daemon is configured by setting DOCKER_OPTS in /etc/default/docker. The -w 2 flag tells Netcat to time out after two seconds. The first connection fails, as inter-container communication is off and no link is present. The second command succeeds, due to the added link. If you want to understand how this works under the hood, try running sudo iptables -L -n on the host with and without linked containers. This reduces the attack surface by only allowing traffic from the given interface. Chances are that your application doesn’t need any setuid or setgid binaries.12 If you can disable or remove such binaries, you stop any chance of them being used for privilege escalation attacks. The || true allows you to ignore any errors from find. $ docker build -t defanged-debian . It’s more likely that your Dockerfile will rely on a setuid/setgid binary than your application. Therefore, you can always perform this step near the end, after any such calls and before changing the user (removing setuid binaries is pointless if the application runs with root privileges). Limiting memory protects against both DoS attacks and applications with memory leaks that slowly consume all the memory on the host (such applications can be restarted automatically to maintain a level of service). These arguments tell the stress utility to run one process that will grab 127 MB of memory and time out after 5 seconds. This time you try to grab 130 MB, which fails because you are allowed only 128 MB. This time you try to grab 255 MB, and because --memory-swap has defaulted to 256 MB, the command succeeds. If an attacker can get one container, or one group of containers, to start using all the CPU on the host, the attacker will be able to starve out any other containers on the host, resulting in a DoS attack. In Docker, CPU share is determined by a relative weighting with a default value of 1024, meaning that by default all containers will receive an equal share of CPU. The way it works is best explained with an example. Here, you’ll start four containers with the amouat/stress image you saw earlier, except this time they will all attempt to grab as much CPU as they like, rather than memory. In this example, the container load1 has a weighting of 2048, load2 has the default weighting of 1024, and the other two containers have weightings of 512. On my machine with eight cores and hence a total of 800% CPU to allocate, this results in load1 getting approximately half the CPU, load2 getting a quarter, and load3 and load4 getting an eighth each. If only one container is running, it will be able to grab as many resources as it wants. The relative weighting means that it shouldn’t be possible for any container to starve the others with the default settings. However, you may have "groups" of containers that dominate CPU over other containers, in which case, you can assign containers in that group a lower default value to ensure fairness. If you do assign CPU shares, make sure that you bear the default value in mind so that any containers that run without an explicit setting still receive a fair share without dominating other containers. Docker employs an exponential back-off when restarting containers. (It will wait for 100 ms, then 200 ms, then 400 ms, and so forth on subsequent restarts.) By itself, this should be effective in preventing DoS attacks that try to exploit the restart functionality. Stopping attackers from being able to write to files prevents several attacks and generally makes life harder for hackers. They can’t write a script and trick your application into running it, or overwrite sensitive data or configuration files. The majority of applications need to write out files and won’t operate in a completely read-only environment. In such cases, you can find the folders and files that the application needs write access to and use volumes to mount only those files that are writable. Adopting such an approach has huge benefits for auditing. If you can be sure your container’s filesystem is exactly the same as the image it was created from, you can perform a single offline audit on the image rather than auditing each separate container. The Linux kernel defines sets of privileges—called capabilities—that can be assigned to processes to provide them with greater access to the system. The capabilities cover a wide range of functions, from changing the system time to opening network sockets. Previously, a process either had full root privileges or was just a user, with no in-between. This was particularly troubling with applications such as ping, which required root privileges only for opening a raw network socket. This meant that a small bug in the ping utility could allow attackers to gain full root privileges on the system. With the advent of capabilities, it is possible to create a version of ping that has only the privileges it needs for creating a raw network socket rather than full root privileges, meaning would-be attackers gain much less from exploiting utilities like ping. By default, Docker containers run with a subset of capabilities,13 so, for example, a container will not normally be able to use devices such as the GPU and sound card or insert kernel modules. To give extended privileges to a container, start it with the --privileged argument to docker run. date -s "10 FEB 1981 10:00:00"
How do you know which privileges you can drop safely? Trial and error seems to be the simplest approach, but what if you accidentally drop a privilege that your application needs only rarely? Identifying required privileges is easier if you have a full test suite you can run against the container and are following a microservices approach that has less code and moving parts in each container to consider. The capabilities are not as neatly grouped and fine-grained as you may wish. In particular, the SYS_ADMIN capability has a lot of functionality; kernel developers seemed to have used it as a default when they couldn’t find (or perhaps couldn’t be bothered to look for) a better alternative. In effect, it threatens to re-create the simple binary split of admin user versus normal user that capabilities were designed to remediate. The Linux kernel defines resource limits that can be applied to processes, such as limiting the number of child processes that can be forked and the number of open file descriptors allowed. These can also be applied to Docker containers, either by passing the --ulimit flag to docker run or setting container-wide defaults by passing --default-ulimit when starting the Docker daemon. The argument takes two values, a soft limit and a hard limit separated by a colon, the effects of which are dependent on the given limit. If only one value is provided, it is used for both the soft and hard limit. The ulimit argument killed the container after it used 12 seconds of CPU. This is potentially useful for limiting the amount of CPU that can be used by containers kicked off by another process—for example, running computations on behalf of users. Limiting CPU in such a way may be an effective mitigation against DoS attacks in such circumstances. Here, the OS requires several file descriptors to be open, although cat requires only a single file descriptor. It’s hard to be sure of how many file descriptors your application will need, but setting it to a number with plenty of room for growth offers some protection against DoS attacks, compared to the default of 1048576. The third container couldn’t be started, because two processes already belong to UID 500. By dropping the --ulimit argument, you can continue to add processes as the user. Although this is a major drawback, nproc limits may still be useful in situations where you use the same user across a limited number of containers. Also note that you can’t set nproc limits for the root user. Beyond simply keeping your host operating system up-to-date and patched, you may want to consider running a hardened kernel, using patches such as those provided by grsecurity and PaX. PaX provides extra protection against attackers manipulating program execution by modifying memory (such as buffer overflow attacks). It does this by marking program code in memory as nonwritable and data as nonexecutable. In addition, memory is randomly arranged to mitigate against attacks that attempt to reroute code to existing procedures (such as system calls in common libraries). grsecurity is designed to work alongside PaX, and it adds patches related to role-based access control (RBAC), auditing, and other miscellaneous features. To enable PaX and/or grsec, you will probably need to patch and compile the kernel yourself. This isn’t as daunting as it sounds, and plenty of resources are available online to help. These security enhancements may cause some applications to break. PaX, in particular, will conflict with any programs that generate code at runtime. A small overhead also is associated with the extra security checks and measures. Finally, if you use a precompiled kernel, you will need to ensure that it is recent enough to support the version of Docker you want to run. The Linux kernel defines the Linux Security Module (LSM) interface, which is implemented by various modules that want to enforce a particular security policy. At the time of writing, several implementations exist, including AppArmor, SELinux, Smack, and TOMOYO Linux. These security modules can be used to provide another level of security checks on the access rights of processes and users, beyond that provided by the standard file-level access control. The modules normally used with Docker are SELinux (typically with Red Hat-based distributions) and AppArmor (typically with Ubuntu and Debian distributions). We’ll take a look at both of these modules now. SELinux controls are enforced based on types, which are essentially labels applied to processes and objects (files, sockets, and so forth). If the SELinux policy forbids a process of type A to access an object of type B, that access will be disallowed, regardless of the file permissions on the object or the access privileges of the user. SELinux tests occur after the normal file permission checks. It is possible to apply multiple levels of security, similar to the governmental model of confidential, secret, and top-secret access. Processes that belong to a lower level cannot read files written by processes of a higher level, regardless of where in the filesystem the file resides or what the permissions on the file are. So a top-secret process could write a file to /tmp with chmod 777 privileges, but a confidential process would still be unable to access the file. 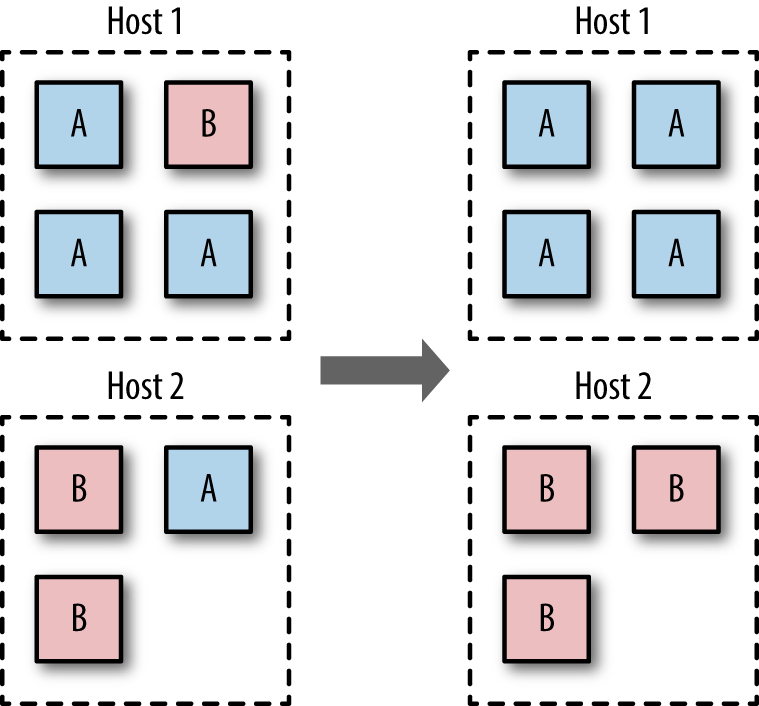 This is known as multilevel security (MLS) in SELinux, which also has the closely related concept of multicategory security (MCS). MCS allows categories to be applied to processes and objects and denies access to a resource if it does not belong to the correct category. Unlike MLS, categories do not overlap and are not hierarchical. MCS can be used to restrict access to resources to subsets of a type (for example, by using a unique category, a resource can be restricted to use by only a single process). SELinux comes installed by default on Red Hat distributions and should be simple to install on most other distributions. You can check whether SELinux is running by executing sestatus. If that command exists, it will tell you whether SELinux is enabled or disabled and whether it is in permissive or enforcing mode. When in permissive mode, SELinux will log access-control infringements but will not enforce them. The default SELinux policy for Docker is designed to protect the host from containers, as well as containers from other containers. Containers are assigned the default process type svirt_lxc_net_t, and files accessible to a container are assigned svirt_sandbox_file_t. The policy enforces that containers are able to read and execute files only from /usr on the host and cannot write to any file on the host. It also assigns a unique MCS category number to each container, intended to prevent containers from being able to access files or resources written by other containers in the event of a breakout. If you’re running a Red Hat-based distribution, SELinux should be installed already. You can check whether it’s enabled and is enforcing rules by running sestatus on the command line. To enable SELinux and set it to enforcing mode, edit /etc/selinux/config so that it contains the line SELINUX=enforcing. You will also need to ensure that SELinux support is enabled on the Docker daemon. The daemon should be running with the flag --selinux-enabled. If not, it should be added to the file /etc/sysconfig/docker. You must be using the devicemapper storage driver to use SELinux. At the time of writing, getting SELinux to work with Overlay and BTRFS is an ongoing effort, but they are not currently compatible. For installation of other distributions, refer to the relevant documentation. Note that SELinux needs to label all files in your filesystem, which takes some time. Do not install SELinux on a whim! Note that if you run chcon only on the file and not the parent folder, you will be able to read the file but not write to it. An interesting use of SELinux labels is to apply a specific label to a container in order to enforce a particular security policy. For example, you could create a policy for an Nginx container that allows it to communicate on only ports 80 and 443. Be aware that you will be unable to run SELinux commands from inside containers. Inside the container, SELinux appears to be turned off, which prevents applications and users from trying to run commands such as setting SELinux policies that will get blocked by SELinux on the host. A lot of tools and articles are available for helping to develop SELinux policies. In particular, be aware of audit2allow, which can turn log messages from running in permissive mode into policies that allow you to run in enforcing mode without breaking applications. The future for SELinux looks promising; as more flags and default implementations are added to Docker, running SELinux secured deployments should become simpler. The MCS functionality should allow for the creation of secret or top-secret containers for processing sensitive data with a simple flag. Unfortunately, the current user experience with SELinux is not great; newcomers to SELinux tend to watch everything break with "Permission Denied" and have no idea what’s wrong or how to fix it. Developers refuse to run with SELinux enabled, leading back to the problem of having different environments between development and production—the very problem Docker was meant to solve. If you want or need the extra protection that SELinux provides, you will have to grin and bear the current situation until things improve. The advantage and disadvantage of AppArmor is that it is much simpler than SELinux. It should just work and stay out of your way, but cannot provide the same granularity of protection as SELinux. AppArmor works by applying profiles to processes, restricting which privileges they have at the level of Linux capabilities and file access. If you’re using an Ubuntu host, chances are that it is running right now. You can check this by running sudo apparmor_status. Docker will automatically apply an AppArmor profile to each launched container. The default profile provides a level of protection against rogue containers attempting to access various system resources, and it can normally be found at /etc/apparmor.d/docker. At the time of writing, the default profile cannot be changed, as the Docker daemon will overwrite it when it reboots. If AppArmor interferes with the running of a container, it can be turned off for that container by passing --security-opt="apparmor:unconfined" to docker run. You can pass a different profile for a container by passing --security-opt="apparmor:PROFILE" to docker run, where the PROFILE is the name of a security profile previously loaded by AppArmor. Running regular audits or reviews on your containers and images is a good way to ensure that your system is kept clean and up-to-date and to double-check that no security breaches have occurred. An audit in a container-based system should check that all running containers are using up-to-date images and that those images are using up-to-date and secure software. Any divergence in a container from the image it was created from should be identified and checked. In addition, audits should cover other areas nonspecific to container-based systems, such as checking access logs, file permissions, and data integrity. If audits can be largely automated, they can run regularly to detect any issues as quickly as possible. Rather than having to log into each container and examine each individually, you can instead audit the image used to build the container and use docker diff to check for any drift from the image. This works even better if you use a read-only filesystem (see Limit Filesystems) and can be sure that nothing has changed in the container. At a minimum, you should check that the versions of software used are up-to-date with the latest security patches. This should be checked on each image and any files identified as having changed by docker diff. If you are using volumes, you will also need to audit each of those directories. The amount of work involved in auditing can be seriously reduced by running minimal images that contain only the files and libraries essential to the application. The host system also needs to be audited as you would a regular host machine or VM. Making sure that the kernel is correctly patched becomes even more critical in a container-based system where the kernel is shared among containers. Several tools are already available for auditing container-based systems, and you can expect to see more in the coming months. Notably, Docker released the Docker Bench for Security tool, which checks for compliance with many of the suggestions from the Docker Benchmark document from the Center for Internet Security (CIS). Also, the open source Lynis auditing tool contains several checks related to running Docker. Should something bad occur, you can take advantage of several Docker features to respond quickly to the situation and investigate the cause of the problem. In particular, docker commit can be used to take a snapshot of the compromised system, and docker diff and docker logs can reveal changes made by the attacker. Effective mitigation against the attack may be to limit the container in some way, such as dropping capabilities or running with a read-only filesystem. Once the immediate situation has been dealt with and some form of attack mitigation put in place, the compromised image that you committed can be analyzed to determine the exact causes and extent of the attack. For information on how to develop an effective security policy covering incident response, read CERT’s Steps for Recovering from a UNIX or NT System Compromise and the advice given on the ServerFault website. As you’ve seen in this report, there are many aspects to consider when securing a system. The primary advice is to follow the principles of defense-in-depth and least privilege. This ensures that even if an attacker manages to compromise a component of the system, that attacker won’t gain full access to the system and will have to penetrate further defenses before being able to cause significant harm or access sensitive data. Groups of containers belonging to different users or operating on sensitive data should run in VMs separate from containers belonging to other users or running publicly accessible interfaces. The ports exposed by containers should be locked down, particularly when exposed to the outside world, but also internally to limit the access of any compromised containers. The resources and functionality available to containers should be limited to only that required by their purpose, by setting limits on their memory usage, filesystem access, and kernel capabilities. Further security can be provided at the kernel level by running hardened kernels and using security modules such as AppArmor or SELinux. In addition, attacks can be detected early through the use of monitoring and auditing. Auditing, in particular, is interesting in a container-based system, as containers can be easily compared to the images they were created from in order to detect suspicious changes. In turn, images can be vetted offline to make sure they are running up-to-date and secure versions of software. Compromised containers with no state can be replaced quickly with newer versions. Containers are a positive force in terms of security because of the extra level of isolation and control they provide. A system using containers properly will be more secure than the equivalent system without containers. 1I strongly recommend Dan Walsh’s series of posts at opensource.com. 2It is possible to turn on user namespacing, which will map the root user in a container to a high-numbered user on the host. We will discuss this feature and its drawbacks later. 3An interesting argument exists about whether containers will ever be as secure as VMs. VM proponents argue that the lack of a hypervisor and the need to share kernel resources mean that containers will always be less secure. Container proponents argue that VMs are more vulnerable because of their greater attack surface, pointing to the large amounts of complicated and privileged code in VMs required for emulating esoteric hardware (as an example, see the recent VENOM vulnerability that exploited code in floppy drive emulation). 4The concept of least privilege was first articulated as "Every program and every privileged user of the system should operate using the least amount of privilege necessary to complete the job," by Jerome Saltzer in "Protection and the Control of Information Sharing in Multics." Recently, Diogo Mónica and Nathan McCauley from Docker have been championing the idea of "least-privilege microservices" based on Saltzer’s principle., including at a recent DockerCon talk. 5A work-around is to docker save all the required images and load them into a fresh registry. 6This is similar to modern ideas of immutable infrastructure, whereby infrastructure—including bare metal, VMs, and containers—is never modified and is instead replaced when a change is required. 7A full discussion of public-key cryptography is fascinating but out of scope here. For more information see Applied Cryptography by Bruce Schneier. 8A similar construct is used in protocols such as Bittorrent and Bitcoin and is known as a hash list. 9In the context of this report, anyone who pushes an image is a publisher; it is not restricted to large companies or organizations. 10I’m using Ubuntu instead of Debian here, as the Ubuntu image includes sudo by default. 11We’re using the OpenBSD version here. 12setuid and setgid binaries run with the privileges of the owner rather than the user. These are normally used to allow users to temporarily run with escalated privileges required to execute a given task, such as setting a password. 13These are CHOWN, DAC_OVERRIDE, FSETID, FOWNER, MKNOD, NET_RAW, SETGID, SETUID, SETFCAP, SETPCAP, NET_BIND_SERVICE, SYS_CHROOT, KILL, and AUDIT_WRITE. Dropped capabilities notably include (but are not limited to) SYS_TIME, NET_ADMIN, SYS_MODULE, SYS_NICE, and SYS_ADMIN. For full information on capabilities, see man capabilities. 14If you run this example, you’ll have a broken system until you set the time correctly. Try running sudo ntpdate or sudo ntpdate-debian to change back to the correct time. 15A file descriptor is a pointer into a table recording information on the open files on the system. An entry is created whenever a file is accessed, recording the mode (read, write, etc.) the file is accessed with and pointers to the underlying files. Article image: Metal cases (source: O'Reilly). Adrian Mouat is Chief Scientist at Container Solutions. In the past he has worked on a wide range of software projects, from small webapps to large scale data-analysis software.